Geek Software of the Week: Remix OS! Do you want to “revive” an old PC and turn it into an Android software running powerhouse? Try Remix OS! “Remix OS for PC allows you to run our PC optimized version of Android on any computer. 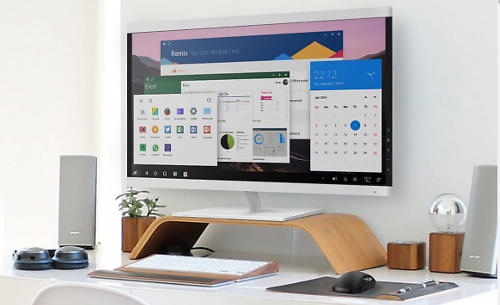 Through a simple and quick setup process, enjoy millions of Android apps and games on your PC alongside the many intuitive and amazing PC features we’ve engineered into Remix OS. Think of Remix OS as the love-child between an intuitive PC desktop experience and Android apps + games. The multitude of features we’ve meticulously engineered into Remix OS are designed to bring you the best of both worlds – a complete fusion of mobile and PC.